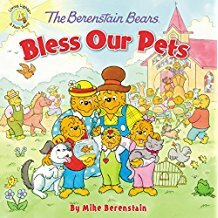 I love reading through any Berenstain Bears book. This one was no exception. When I read this it took me back to my childhood and all the enjoyment I got from these book. The illustrations were detailed and very colorful. I liked the story and think my little niece and nephew will also enjoy this book. I look forward to the next book that the Bear family has instore for us. I love how Stan and Jan's son has continued on with this beloved series.